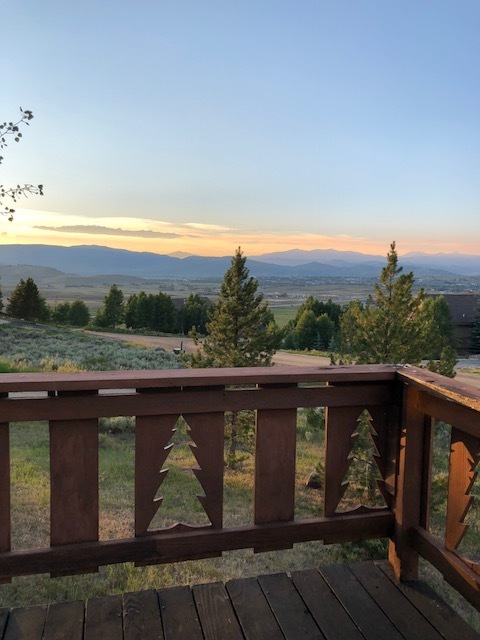 This charming, cozy mountain cabin is in the heart of the Rocky Mountains and provides year round enjoyment for adventure seekers, families, couples, and those that just want to enjoy the serenity of the beautiful Rocky Mountains. Our 3 bedroom, 2 bath picturesque cabin located next to Granby Ranch Ski Resort is available for your next mountain vacation. I will be sharing travel tidbits from vacationing with kids to visiting different amazing attractions within a small radius of our cabin. Looking for things to do during your stay at The Selbu Ski Chalet? I tell my kids all the time we are so lucky to live in Colorado. Two hours from our home sits this beautiful cabin, The Selbu Ski Chalet, in the mountains just minutes from Lake Granby, Shadow Mountain Lake, and Grand Lake. The scenery on these lakes is simply stunning and so is the fishing! Over Labor Day weekend we spent a couple of days fishing and exploring. Summer time is simply amazing up here. There just is so much to do. Our kids love to fish so we decided to try some shore fishing on Lake Granby, near Sunset Point. There are several marinas around the lake that can get you anything you need as well as a few tips on where the fish might be biting. We spent the day sitting on the beach with the kids casting and reeling away. We didn't have much luck however the views alone next to the water were enough for me. After some fishing we headed into Grand Lake for some ice cream. They have this iconic little down town with authentic boardwalks and the lake is one block off main street. There is this great little public beach there nestled between a couple of marinas and a fantastic ice cream shop across the street. The kids absolutely loved playing on the beach and in the water. The water was a bit chilly but felt amazing with the warm weather. Next time we will probably make a day of just hanging out at the beach. Beware- it can get BUSY! The next day, we drove around Lake Granby and ended up near Arapaho Bay. A beautiful section on the South East side of Lake Granby that also has a campground. I would have loved to camp here! We found another spot for the kids to fish and for me to absorb all the beauty. A kayak or boat would probably have produced a better chance at the fish, so this will definitely be on our list next time! Not much luck again but the kids still had a blast. We will definitely make it a point to spend more time at the lake next year. If you come stay at The Selbu Ski Chalet over the summer, a day or two by the lake is a definite MUST! Idyllic Rocky Mountain cabin located near Granby, CO available for short-term accommodations. Perfect location to enjoy the best of Colorado and its majestic mountains and abundant activities. The mountains are calling!